We love natural products and when they’re as easy to make as this DIY Orange Mango Sugar Scrub we love them even more! 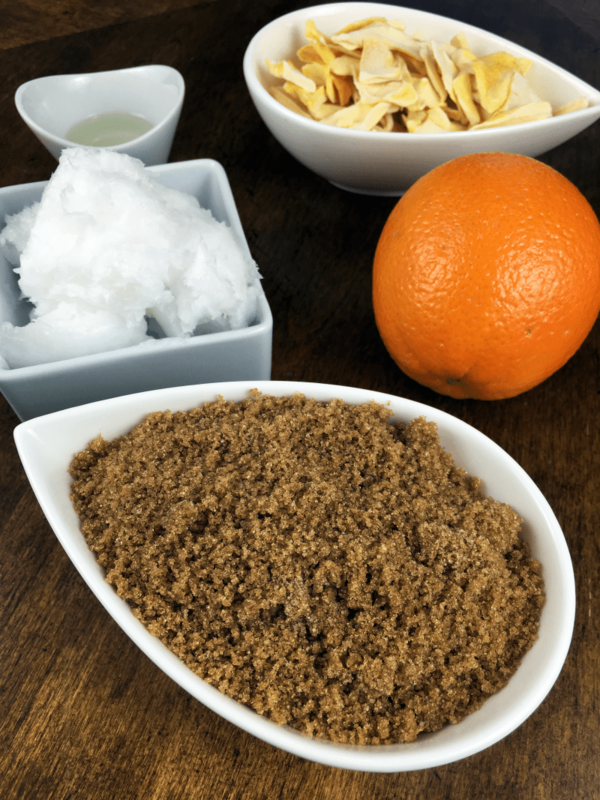 I love that I also already had all of these ingredients on hand and if you start making your own orange mango sugar scrub it will be quick and easy once you have all of the ingredients. 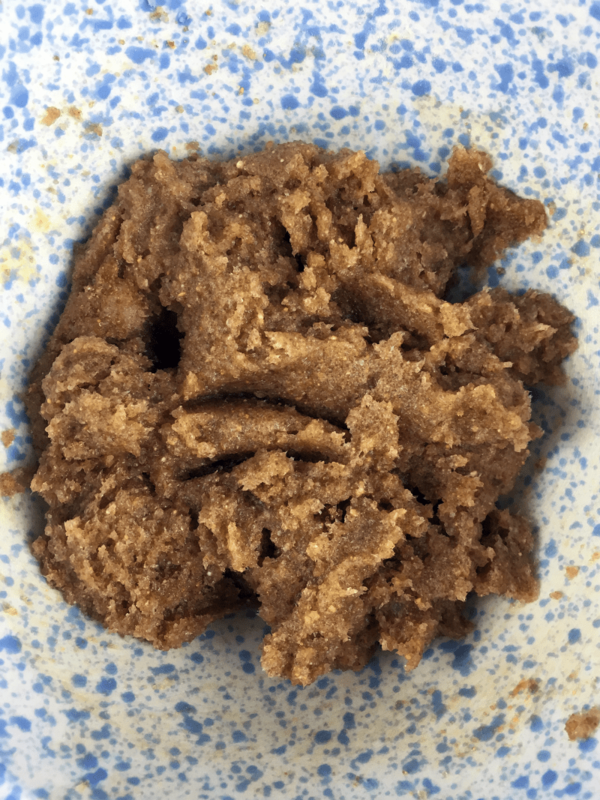 The nice thing about sugar scrubs is you can change up the the scents. If you don’t have fresh oranges on hand you can try using an essential oil like orange, lemon or whatever you prefer. My favourite essential oils are doTERRA essential oils and products. If you want more information on doTERRA feel free to contact me or if you want to buy some GO HERE. Now doesn’t that look incredibly easy? As you can see from the video it really is that easy so you can be on your way to making your own sugar scrubs to have on hand whenever you want. It’s so much better than buying ones that might have questionable ingredients in them. I store mine in the fridge and take it out when I want to use it. It’s perfect for renewing your skin, my hands always feel so soft after a sugar scrub and they smell good too. Let’s get on to sharing the full directions now shall we? 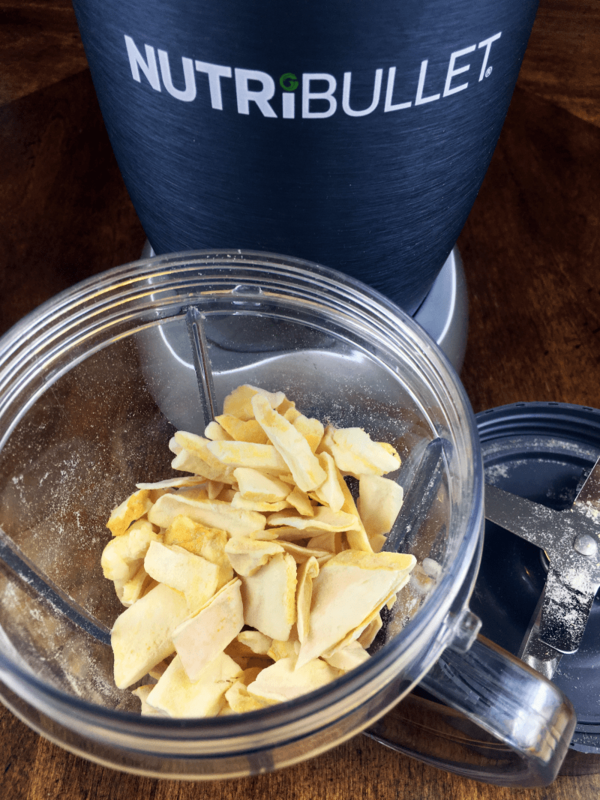 Using a blender, blend freeze-dried mangos for at least 10 seconds or until crushed. Combine crushed mango and brown sugar in medium mixing bowl. Add room temperature coconut oil to mixture. Stir until all ingredients are evenly distributed. Add orange essential oil/extract and fresh orange juice to sugar mixture. Stir well until completely combined. Store in mason jar with tightly sealed lid. There you have it now you can make your own Orange Mango Sugar Scrub with all natural ingredients. I recommend using organic ingredients only if you can but either way at least there’s nothing bad in this. After all you want to take care of your skin and this is an easy and inexpensive way to do so. I also love giving these as gifts. Do up some cute mason jars and decorate them and these are perfect as part of a spa and beauty basket, baby shower, wedding shower and so much more. Let us know if you try it we’d love to hear from you. I bet this would smell amazing. Must try this one! I like making my own scrubs. I can be assured of the ingredients and it is more economical. This is very easy to make and I love the smell of fresh oranges. I’ll have to try this soon. I love scrubs and I bet this one would smell great! tThis sounds like something my daughter and I could do together in preparation for our mini spa days at home. Thank you for sharing this recipe. I have been looking for a good scrub. I will try this out. I didn’t know sugar scrubs were so easy to make, I’ll have to make some this weekend so I can start saving money on these. It does smell good. I’d like to make a recipe for orange body butter. Do you have one? I love how soft my skin is after using a sugar scrub. I’d keep this in the kitchen to rid my hands of garlic and onion smells! Ooh,I can already smell it! Definitely making some for myself and for gifts! Sounds like a good one im going to try it. I love DIY beauty tricks and tips. This sounds like a relaxing scrub that has a great scent. My granddaughters love to DIY makeup and cleansers. They are going to whip up a batch. I love to make sugar scrubs, but here’s a thing; in my area you have to keep them in the fridge of you will get ants! I looove scrubs and I bet this one would smell amazing! Such a fun treat for mom. Thanks for the DIY. I have been wanting to make a scrub and this sounds like it would be perfect!! Love all the natural ingredients!! Thinking this will be a great project for me and my bff this weekend!! I bet this smells divine. It sounds awesome and so easy to make.Thank you for the recipe. This rub looks awesome and I’m sure it smells even better. So easy to make would be an awesome gift to give to that person who has every thing. I have never made my own yet but this sounds awesome and I am going to give it a shot. Thanks for sharing. This sounds amazing.Thank you for the article! This sounds heavenly! I’m going to try this for my dull skin! Thanks! I love the smell of oranges. And, after a long, cold winter, my skin could use this. Orange and Mango sound really well together. I like both fruits. Orange mango sounds like a delightful combination! I have tried homemade facial scrubs before but not this kind. Thanks for sharing it with us. This looks good enough to eat! I have been wanting to get into essential oils. This seems like a perfect project for a beginner like me. Thanks for sharing and making a video! I just use what is on hand.Buy real cheap white sugar,add vanilla,olive oil,and add that to my face clothe when I shower! Now, this looks good. I’m not sure if it will taste as good though. I like making scrubs as gifts. This is a fun combination. I am so looking forward to making some for me and my girls. That does sound easy to make. Orange is my favorite scent. It’s so fresh smelling. I love homemade scrubs they are great gifts and simple to make! I really like this! Never thought about using my NutriBullet for anything other than soups and smoothies! Thanks for sharing! These really would make lovely homemade gifts (as long as no-one ate them! ).